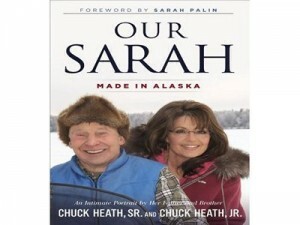 Sarah Palin’s interview with Sean Hannity last week showed clearly she was in Las Vegas. With no speaking or campaign schedule in place there was speculation as to why she was there (a secret meeting with pro-Israel conservative Sheldon Adelson to discuss 2016 perhaps?). The mystery was solved with the information below coming to light with an engaging photograph of Sarah. Sarah Palin was at an Off Road Race in Las Vegas. Todd is a fan of Off Road Racing and went to the Baja 1000. 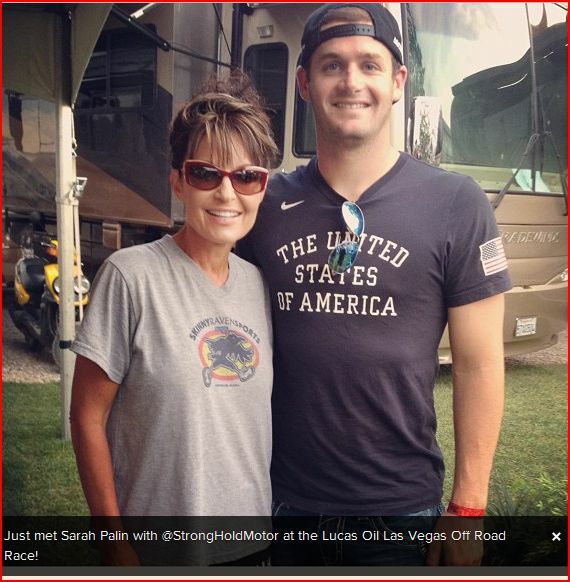 Sarah Palin was the Lucas Oil Las Vegas Off Road Race today and this guy got a picture taken with her.